Renowned for an endless string of soulful yet socially aware hits such as Forgotten Town, Ideal World, Born Again, Harvest for the World, What’s in a Word, Hooverville, Words, Father, The Bottle and many more The Christians enjoyed huge acclaim in the late 80s and early 90s. Still headed by enigmatic lead singer Garry Christian, The Christians will be playing their well known back catalogue and one or two favourites selected from newer albums. 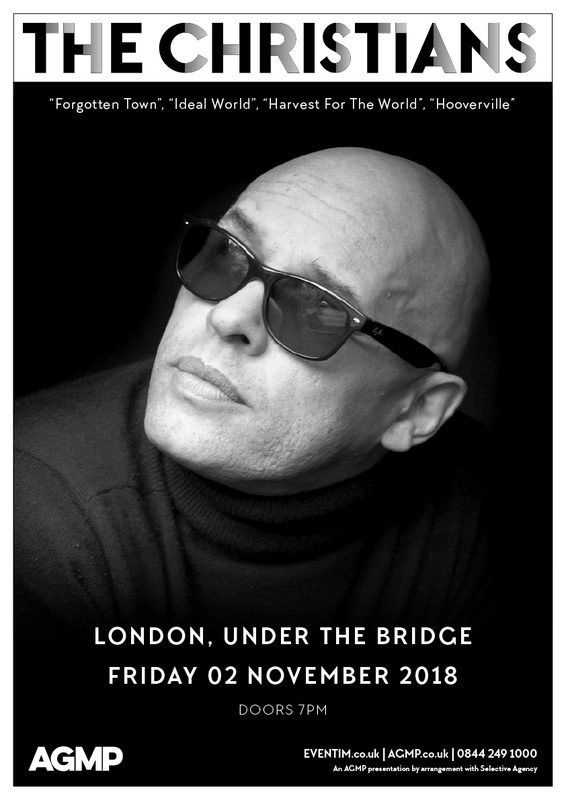 Catch them out live tonight at the award winning Under the Bridge and find out why BBC Radio 2’s Chris Evans said of The Christians live show that ‘it was the best gig I’ve ever been to’.